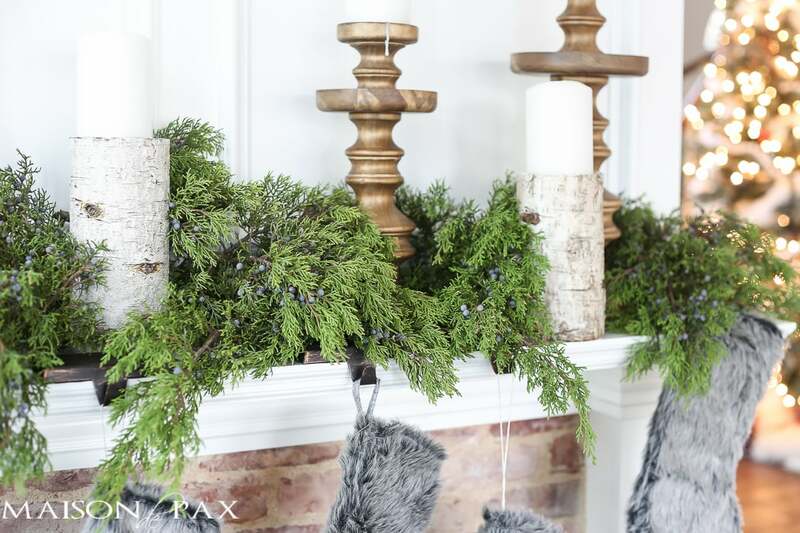 This winter woodland Christmas mantel is so simple and so lovely! 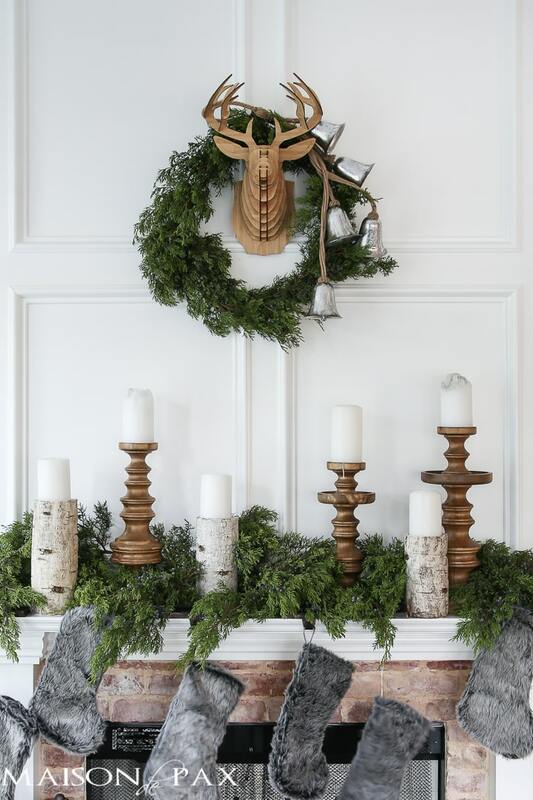 Some fresh cut cedar, candlesticks, and a faux deer mount creates the perfect holiday decor. Our house has been under construction for the past two months tackling two major projects: the kitchen and the fireplace. This, my friends, is the first reveal of our new fireplace. 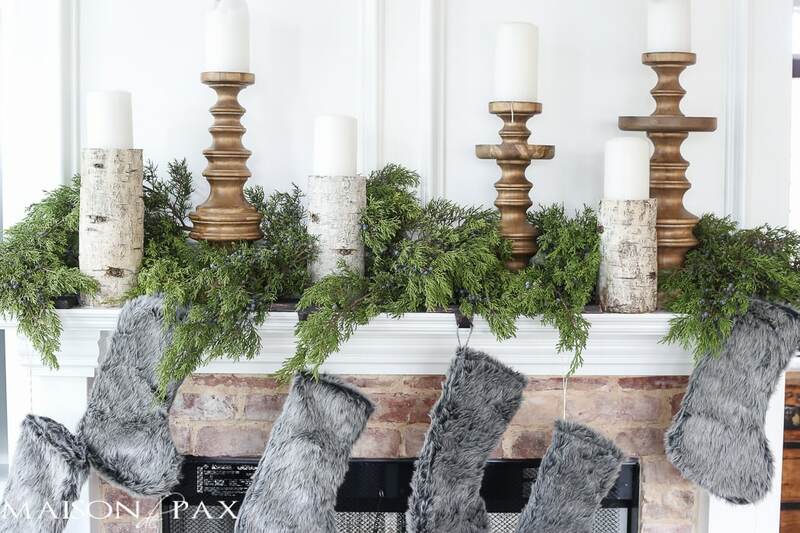 I promise to share more details on the fireplace soon, but today is all about the mantel decorations. I wanted something simple, elegant, and fun. A study in contrasts, if you will: lush cedar branches clipped from my yard against the crisp white molding. Soft, fuzzy stockings against the rough aged brick. Rustic birch bark candle holders against the smooth, turned wood candlesticks. 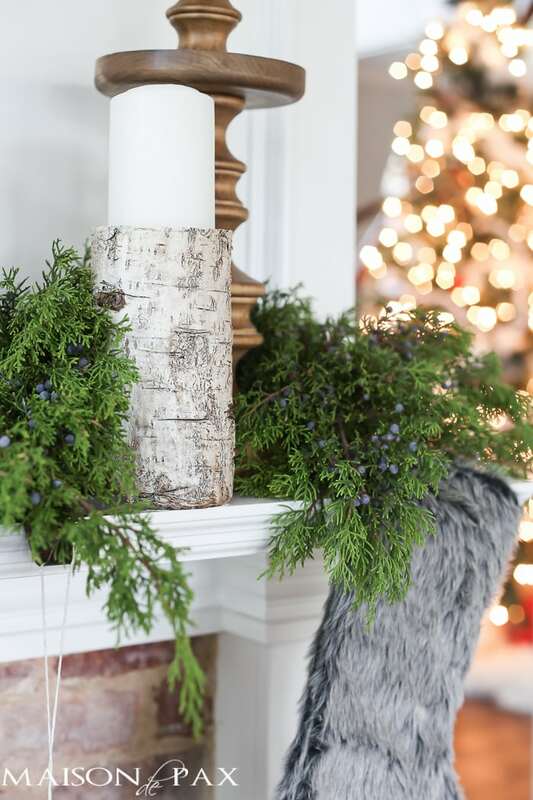 This adorable, quirky bamboo deer mount against the elegant silver bells. I know it may sound a tad ridiculous, but as a former English teacher, I’m susceptible to ridiculous flights of fancy and elaborate analogies… So amuse me. 😉 It’s a bit like the whole beauty of the Christmas season: a king placed in a horse trough. A glorious heavenly choir performance performed to no one but a few poor shepherds. The greatest Savior the world has ever known born as a helpless baby. I just love Christmas. I hope you saw my Christmas tree that I shared today, too, and I hope you were encouraged by the reminder that hope and joy are often found in unexpected packages. Disclosure: Special thanks to Bambeco for sending me that adorable deer head mount! 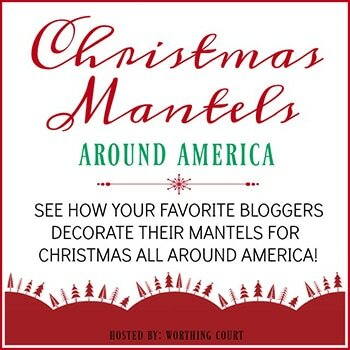 Now be sure to visit the other beautiful mantels being shared today as part of the Christmas mantels around America that Suzy from Worthing Court has rounded up. And pin it to remember it! 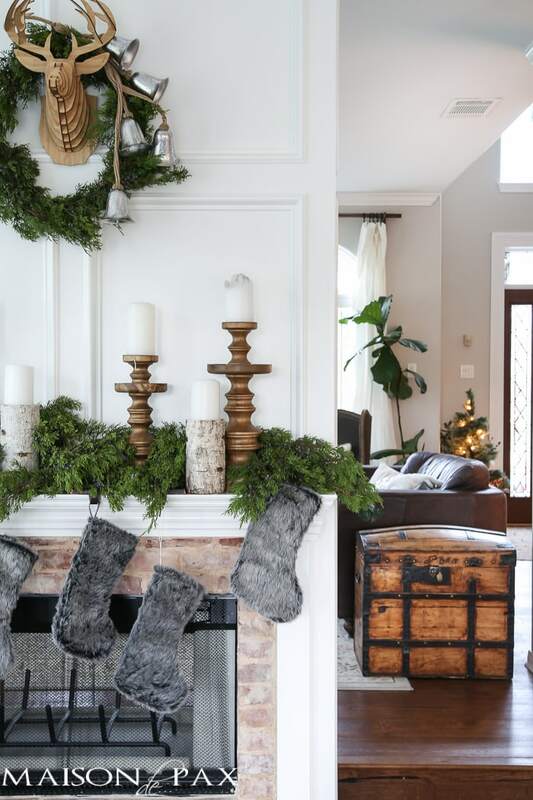 What a perfect way to showcase your new fireplace! The rustic elements really show it off! I absolutely love your fireplace! 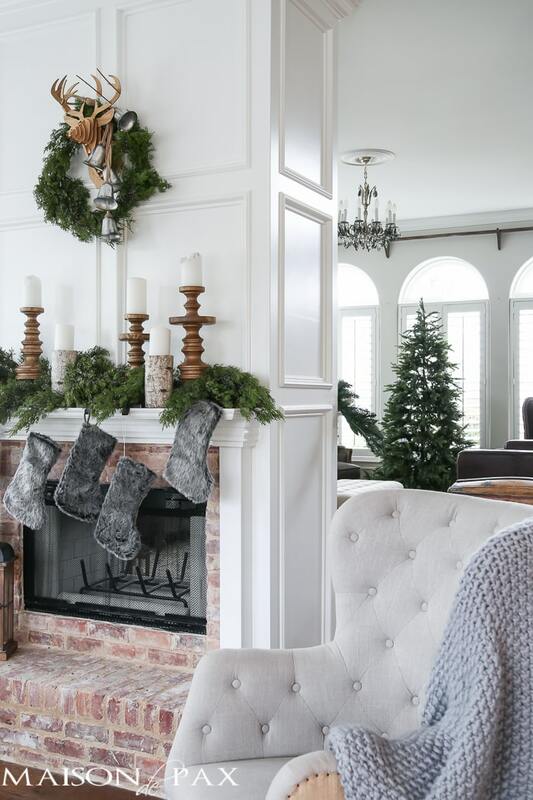 The soft, muted tones of the brick against the white of the picture frame molding looks fantastic! Congrats on the beautiful, new fireplace Rachel. 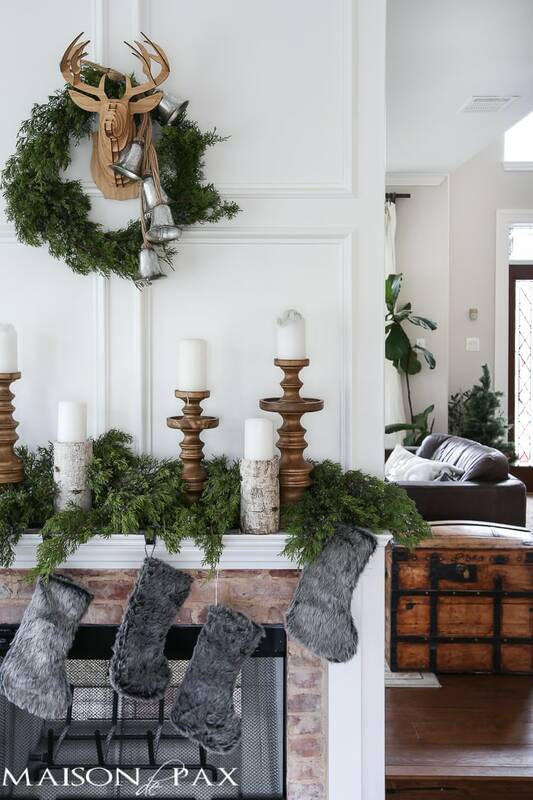 Love the mantel…simple and textured. Must be so pretty with the candles lit. Just lovely, Rachael! 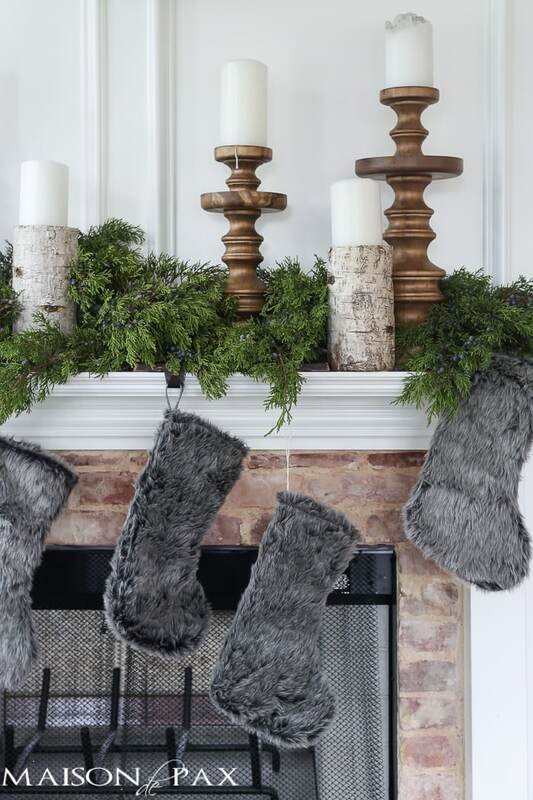 The changes to your fireplace are wonderful and the decorations you used are pure perfection. All of the different elements work wonderfully together. And I adore your analogy about the beauty of the Christmas season. It’s so easy to forget what it’s really all about. 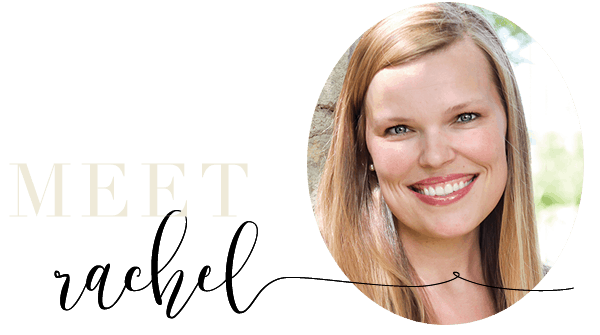 Simply gorgeous, Rachel! I love your descriptions too, you English teacher, you! 😉 The new fireplace looks ahhh-mazing! Very elegant! Beautiful! Great point with those contrasts of Christmas too. Amazing, isn’t it! Absolutely. 🙂 And thank you! Just lovely, Rachel! So happy for you and your new fireplace! Thank you for sharing… love that you are bold and share about our Lord, too! Praise Him! Thank you so so much, Julie!